Earlier this year, I started working at Tygerberg Academic Hospital (TBAH), Cape Town. I last worked there 18 years ago and returning has been quite remarkable. 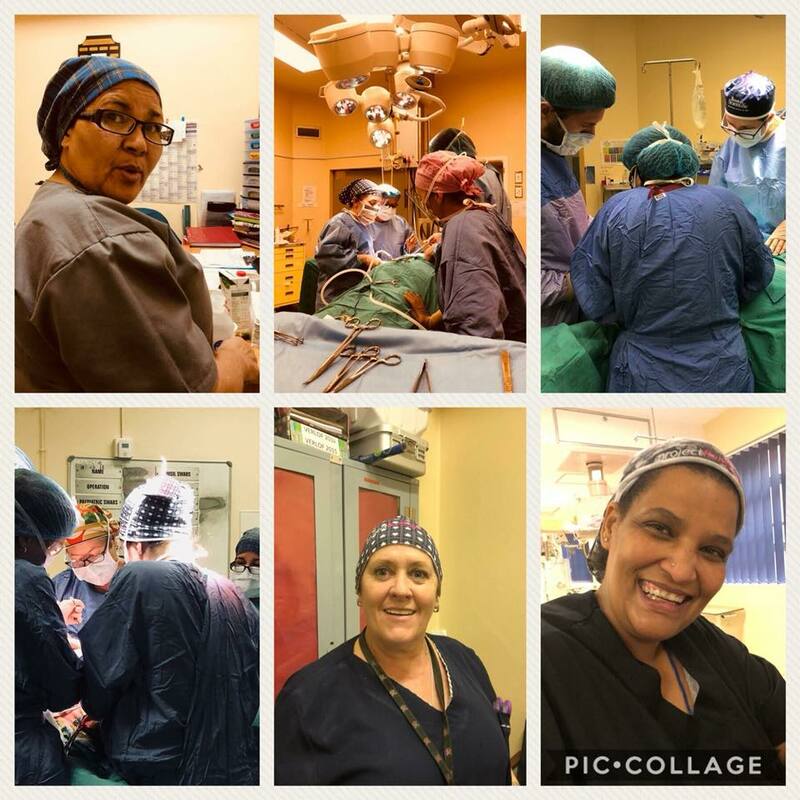 I am working in the Breast and Endocrine unit with Dr Karin Baatjes and Dr Ilna Conradie. In 2016, they started participating in the Flamingo project. The project was set up by a group of cancer survivors and volunteers, spearheaded by Dr Liaana Roodt. They fund "catch up theatre lists" which are done on Saturdays by volunteers. 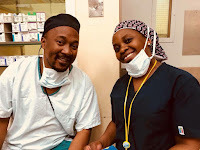 Initially, they were only at Groote Schuur Hospital. The result was that the waiting time for surgery for people with breast cancer dropped from 3 months to 6 weeks. 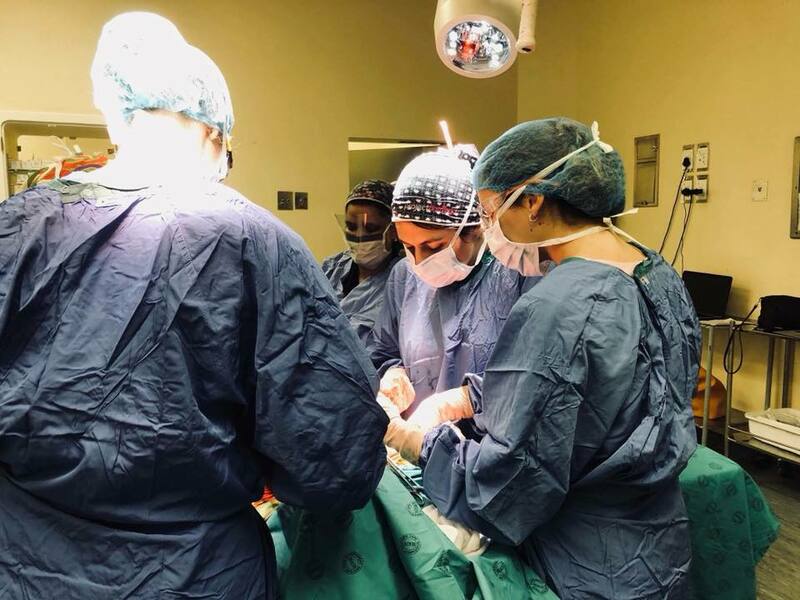 Since Tygerberg has become part of the project, there has been a similar reduction in waiting time for surgery for breast cancer patients. I have been involved with the last 3 lists. In total, there have been 11 lists done over 9 Saturdays. 101 operations have been done benefitting 90 women with breast cancer. 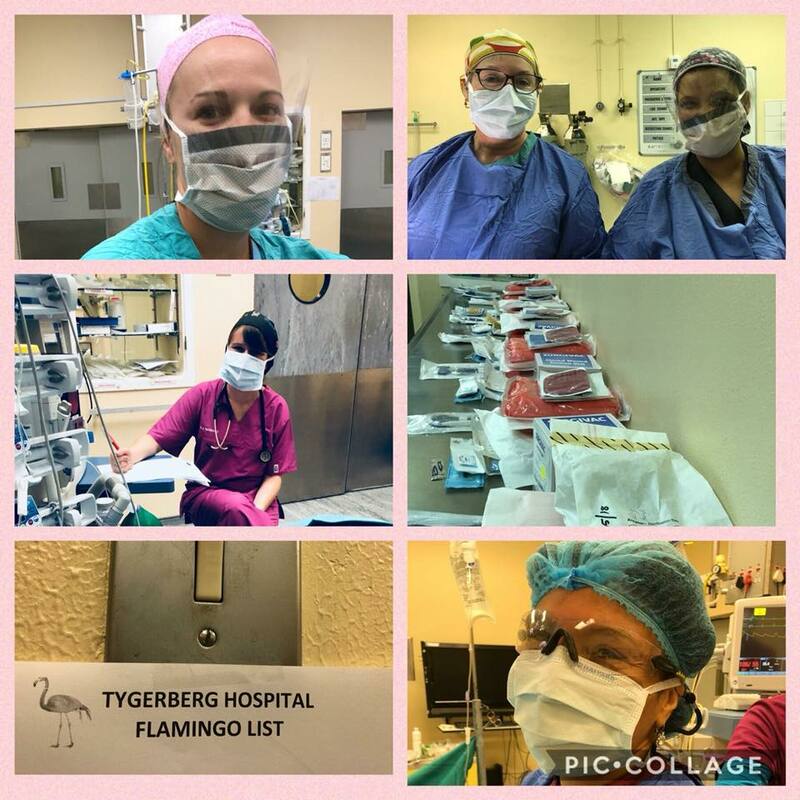 The lists require enormous commitment from surgeons, anaesthetists, medical students, nursing staff, support admin staff and, of course, the Flamingo Project. Last Saturday, we had 2 lists. and Dr Botes). The patients are in the 2 main surgical wards, D3 and D5, (thank you to the nursing staff on duty). 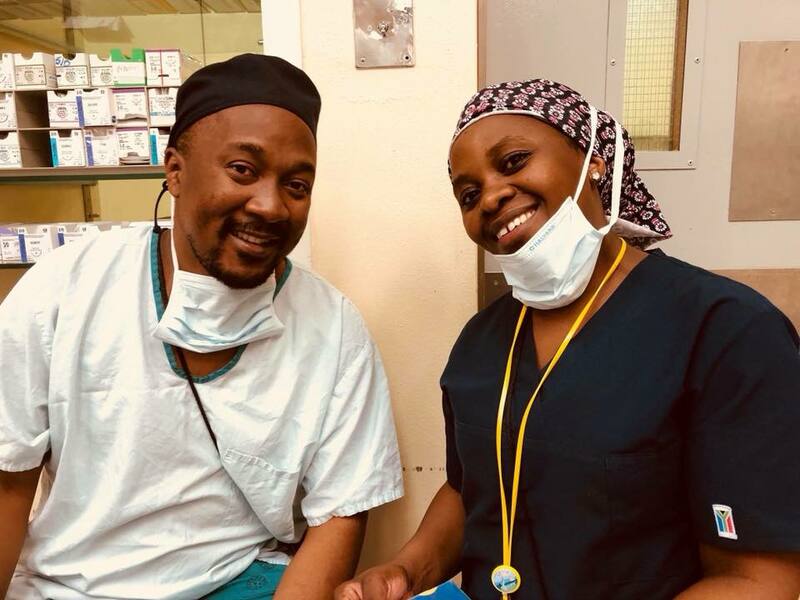 Mr Visagie, (the theatre boss) coordinates their transport from the wards to theatre where they are looked after by the nursing staff. Sr Theron co ordinates the theatre nursing teams. On Saturday, we had 10 theatre nurses involved. 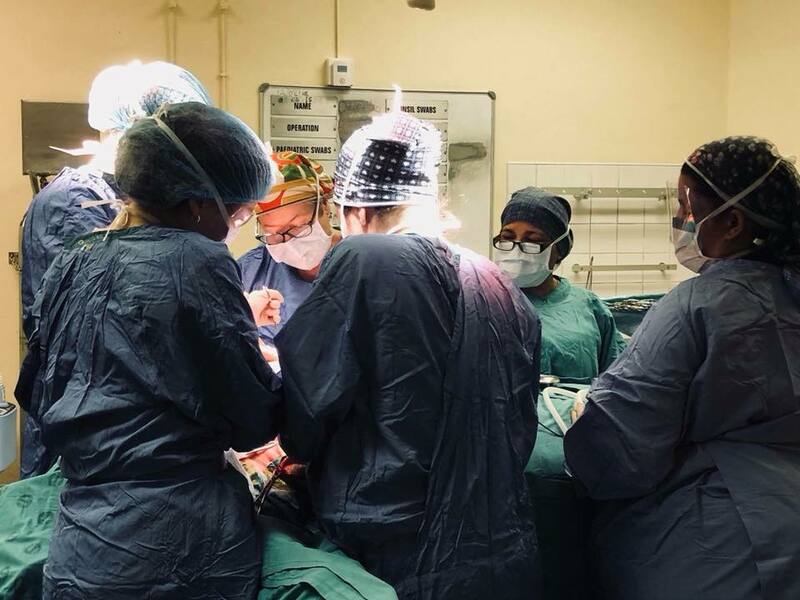 Once in theatre, they are anaesthetised by volunteer anaesthetists from both the department of Anaesthetics in Tygerberg Hospital and private anaesthetists. Thanks to Prof Levine and his team. 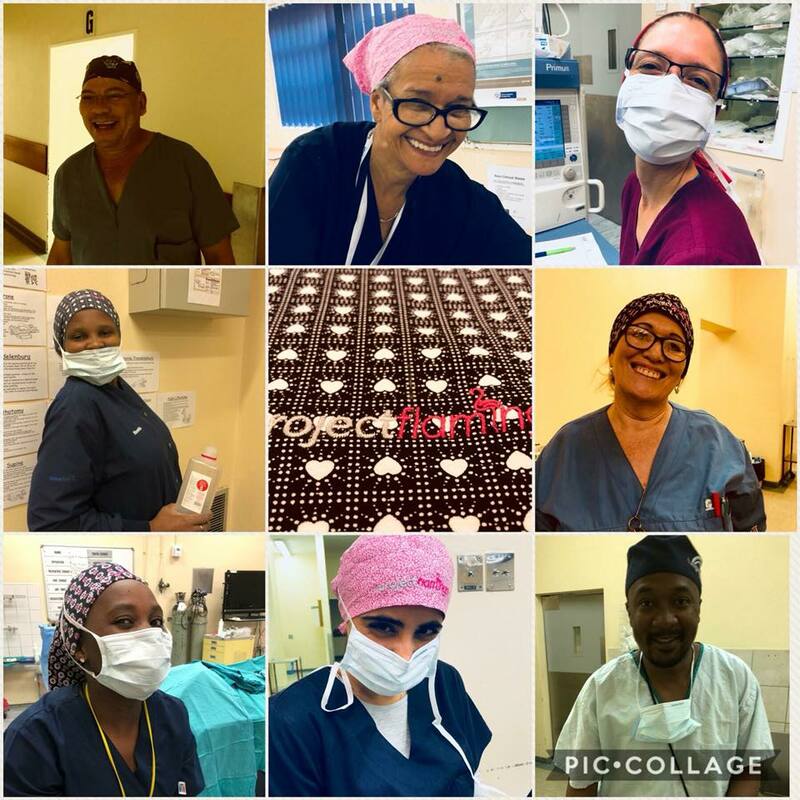 The operations were all done by Ilna Conradie, Karin Baatjes and myself. Our assistants were medical students from the US surgical society. In total, over 30 staff gave their time freely last Saturday. Quite remarkable. All of this is made possible by the management at TBAH (Dr Chiaparilli, Dr Maart and Dr Muller) and of course, Dr Liana Roodt and Project Flamingo. The benefit to the women having their surgery at the weekend is immediate and obvious. However, there is a benefit all our patients with breast cancer operated on at TBAH as their waiting time is decreased. From all of us, on behalf of the hundreds of patients who have benefitted either directly or indirectly, THANK YOU to the donors and supporters of Project Flamingo.